Colorado may not be as famed as New England when it comes to fall colors, but the state's aspens and stately cottonwood trees put on a show that's every bit as colorful as the maples and beech trees of the northeast. By mid-September, aspen groves at higher elevations will be well into the transformation, as shorter days signal the trees to stop producing chlorophyll. Wandering among a dense stand of aspens when there's just the tingle of an afternoon breeze is pure magic — each leaf twirls in synchronicity with the next in a timeless ballet that's a feast for the senses. The hillsides around Copper Mountain and the rest of Summit County offer some of the best leaf-peeping in Colorado, so we've compiled a few of our favorite spots to enjoy this autumn treat. The last week of September seems to be the historic peak for fall colors, so plan your visit now! Wheeler Lakes Trail - Just across the highway from Copper Mountain, the sunny lower slopes of the Gore Range feature broad swaths of aspen trees that all seem to wait for a hidden signal before changing color in unison. Since aspens grow in great clumps that are genetically related, you might find one stand that's completely golden, while another grove nearby is still green. Wander up the trail a couple of miles and enjoy a picnic in the dappled golden light. Williams Fork Range - To get a broad overview of fall colors, take a little road trip north on Highway 9 and then turn up Ute Pass Road, switchbacking steeply up the little-known Williams Fork Range. A couple of turnouts along the road lead to overlooks with mind-blowing views of the Gore Range, with skeins of golden aspen spilling down the flanks of the Range. Meadow Creek - Close to Frisco, the Meadow Creek/Lily Pad Lake trail wends through dense aspen groves before reaching the darker greens of the montane evergreen zone. Some of the aspens along the lower part of the trail are among the oldest and biggest in the area. Oro Grande Road - For an easy walk with spectular colors, and views of Summit County, head over to Dillon and make your way to the Oro Grande Road, which parallels Highway 6 leading to Keystone. The rolling road starts out in thick aspens where you may see an elk early in the morning or late in the day. Clumps of golden trees sparkle against the backdrop of the gray-green sage. Ptarmigan Trail - If you want a workout to go along with your leaf-watching, the Ptarmigan Trail, in Silverthorne, is the place for you. 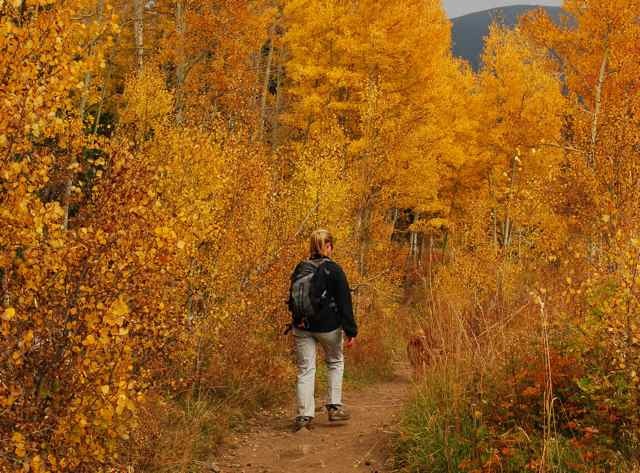 Along with expansive views over Dillon Reservoir and the Dillon Dam, the trail leads to a true aspen forest, where you'll be surrounded by pure color. But be prepared to get your heart pumping — the first mile or so is a steep climb through and open sage meadow. You can track the best time for fall colors at this U.S. Forest Service website, and follow Copper Condos on Twitter, where we'll keep you posted on the progression of the leaves. 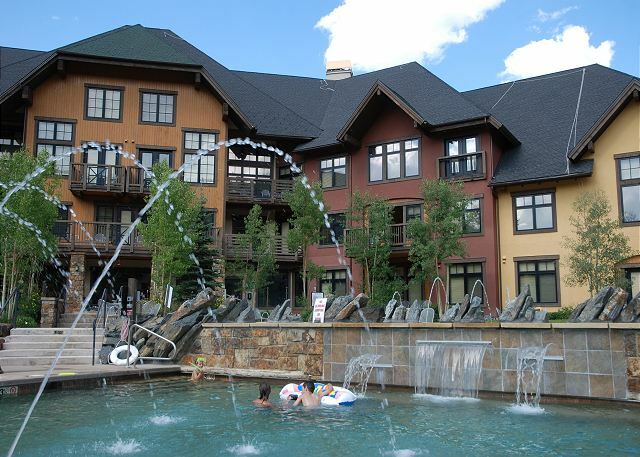 And if you want to plan a weekend getaway, check out our selection of Copper Mountain vacation rentals here.